identifies no appealable order in the record. We therefore dismiss this appeal for want of jurisdiction. dismissing for want of jurisdiction, we reverse and remand for further proceedings below. 14-09-00136-CV In the Interest of M.G. 14-08-00592-CV Willard E. Brown III v. George Maynard Green and Sheehy, Lovelace & Mayfield, P.C. 14-07-00880-CV Symetra National Life Insurance Company and Symetra Life Insurance Company v.
14-07-01027-CV Jenette Diem Lee v. MD Lam, Inc.
was re-election in 2008 in a contested race. 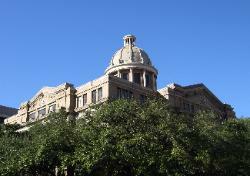 also worked in an academic capacity at Rice University for a year.